​If you love dumplings, try this tasty, healthy recipe, prepared by Changi General Hospital (CGH) dietician, Magdalin Cheong, and chef, Daniel Yeo. It's suitable for diabetics too! ​is both nutritious and healthy. Plus, it's suitable for diabetics too! Tuck into these tasty cabbage leaf wrapped bites with dashi. Mince prawns and fish together until fine. Place in a mixing bowl and add water chestnuts, egg white, garlic, salt and pepper and mix well. Set aside. Bring a pot of water to a boil. Blanch cabbage leaves for about 15 seconds or until soft, then drain. 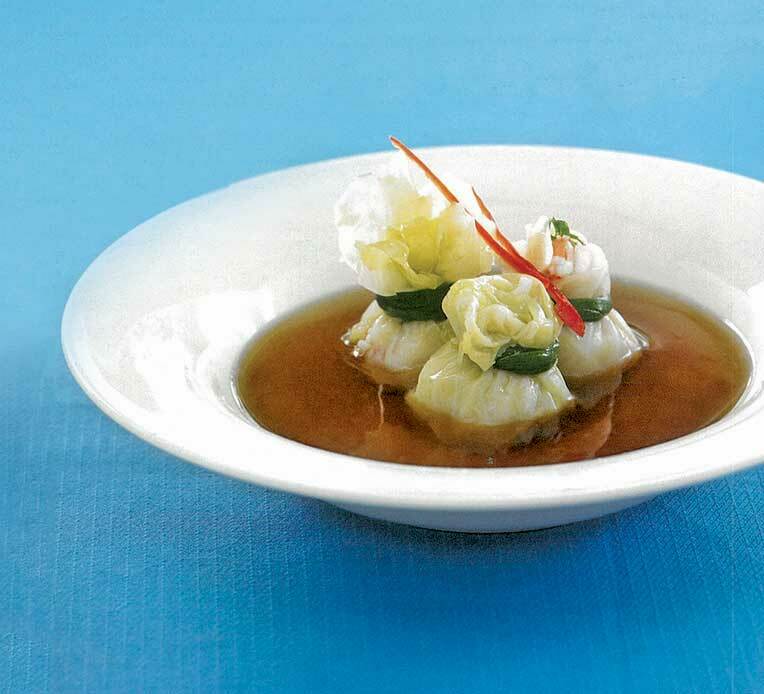 Spoon 1-2 tbsp of the prawn and fish mixture onto the centre of each cabbage leaf. Gather the sides of the leaves up and secure with the spring onion strips. Set aside the 12 dumplings. Prepare dashi. Combine kelp, bonito flakes and water in a pot and boil water over high heat. Reduce heat to low and simmer gently for 30 minutes. Remove the heat and strain. Discard kelp and bonito flakes. Add light soy sauce and water to dashi and simmer gently over low heat for 5 minutes. Lower cabbage dumplings into stock and continue simmering for 5-7 minutes until dumplings are cooked. 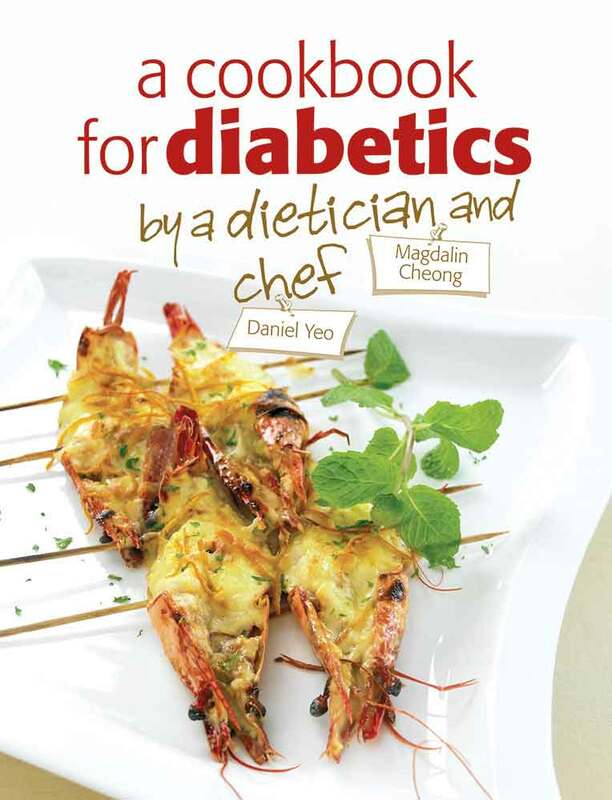 This recipe was first published in "A Cookbook for Diabetics by a Dietitian and a Chef", which is available at major bookstores.